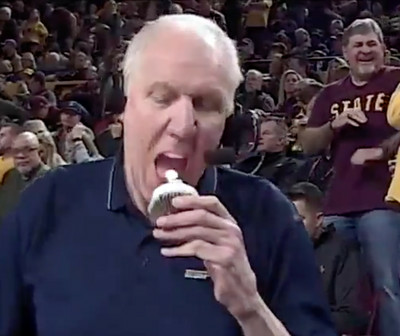 If you dare Bill Walton to do something, he will not hesitate to do it especially if he’s on national television. Walton looked at the cupcake just for a second and went face first at the lit candle and cupcake. This doesn’t even seem like the first time Bill has done that. Launching fire directly into your face: perfectly normal for Bill Walton, apparently. I would advise against doing this at home, however. Blowing the candle and then removing it from whatever baked good you’re celebrating with is worth the extra ten seconds. 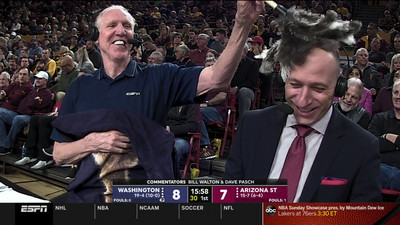 This is unquestionably the weirdest thing Bill Walton did during this game, but he also showed off a new t-shirt — one that had a giant emu painted on it — while he used a feather duster on Dave Pasch’s head. 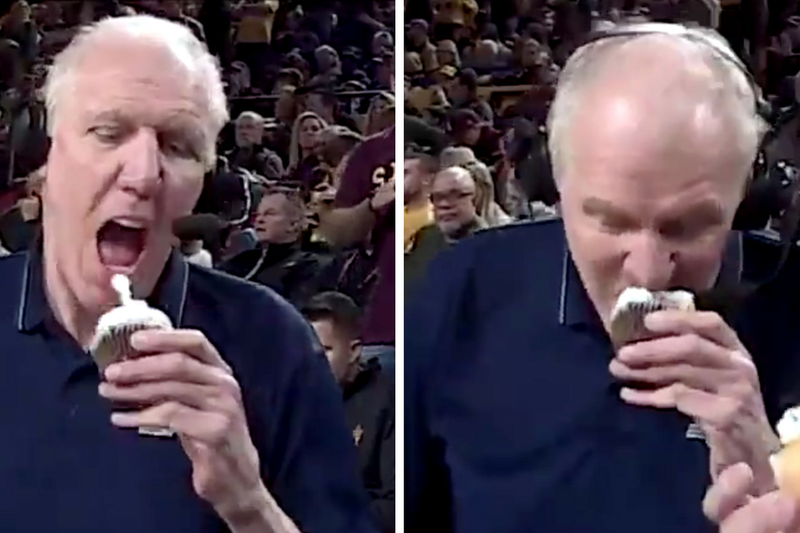 Never change, Bill. Hopefully the roof of your mouth is not singed.